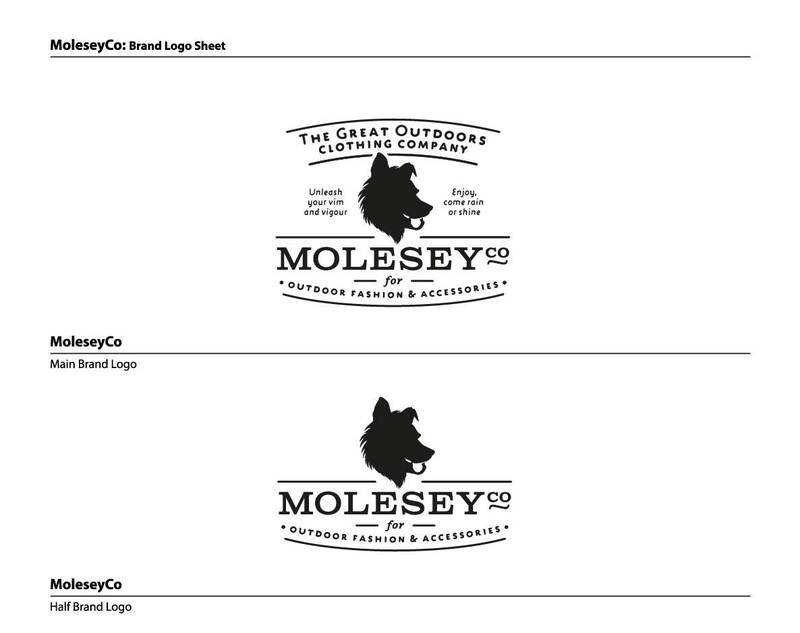 New logo, brand mascot and brand identity design for MoleseyCo Clothing Brand, a new outdoor clothing company based in the UK. The Molesey mascot was drawn from scratch, and predominately based on my own black German Shepherd, Miss Charley (you can see loads photographs of my dogs over on Instagram ), as well as certain characteristics from the wild wolf and Alaskan Malamutes. These included a more furrowed and chiseled brow and forehead, shorter snout and much more neck scruff than a German Shepherd. It was also important to ensure that the main brand logo would ‘breakdown’ into smaller and less detailed versions: brand mascot, brand name, brand name & mascot and lower half brand logo, for ultimate versatility in marketing, packaging and general use of the logo and mascot. 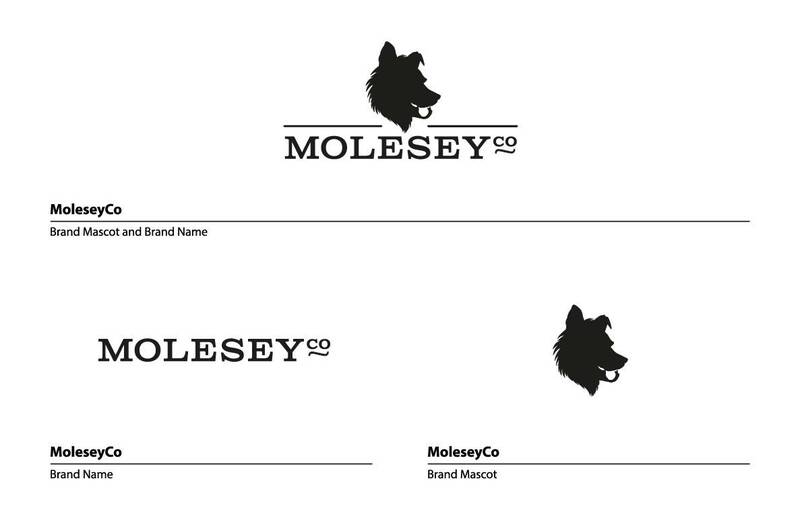 I have written a small post: MoleseyCo Logo Evolution-The Less than Perfect Side to a Logo Designs Development, on how I got from the first top-left ‘sketch’, to the final design down on the bottom-right.